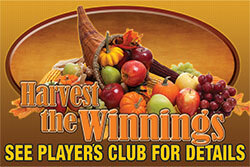 With our turkey, your Players will be blessed with great WINNINGS! 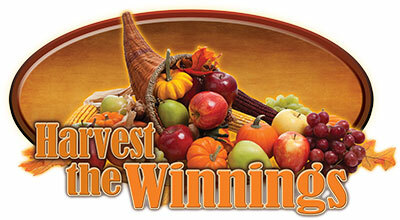 Give a bountiful selection of prizes to your Players! 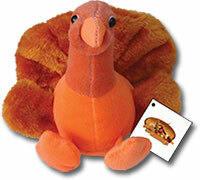 Players reach point total and receive a plush turkey with prize tag attached. Prizes are determined by the Casino. 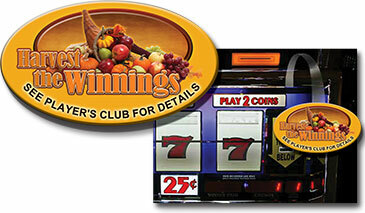 Popular prize examples include free slot play dollars, free buffet, Tee shirt, hotel stay, or cash. 4 locations for custom embroidery of your casino logo or holiday greeting? Dress your turkey to your liking!